When you went to the “one-stop service” (GUDA), an official from the prefecture took your fingerprints and gave you a resident permit called (ADDA – attestation des demandeurs d’asile) either in normal procedure or fast-track procedure or Dublin procedure. It’s very important to understand the difference between the normal procedure and the Fast-track procedure because the files in each procedure will be treated differently, especially in terms of file review and the delays of processing of your appeal to the CNDA! You will find in this section explanations about these procedures. How do I know with which procedure my asylum application is reviewed? On your certificate of asylum seeker “ADDA”, the procedure used to examine your file will be noted down. You can compare your “ADDA” certificate with the following photos to know the applied procedure. According to your situation, you can read more about it following the links : “I got an ADDA called normal procedure” or “I got an ADDA called fast-track procedure” or “I got an ADDA called Dublin procedure”. Important: once you have the certificate of asylum seekers (ADDA), you have the right to benefit from social rights during your procedure. These social rights include: health insurance (social security) ; Transportation reductions ; Accommodation (housing) ; Monthly allowance (ADA) ; Bank account. .
At the end of your appointment at the one-stop service, the prefecture official gave you a certificate of asylum seeker (ADDA) called “Procédure Normale” (normal procedure), and the asylum application file which is called OFPRA file. 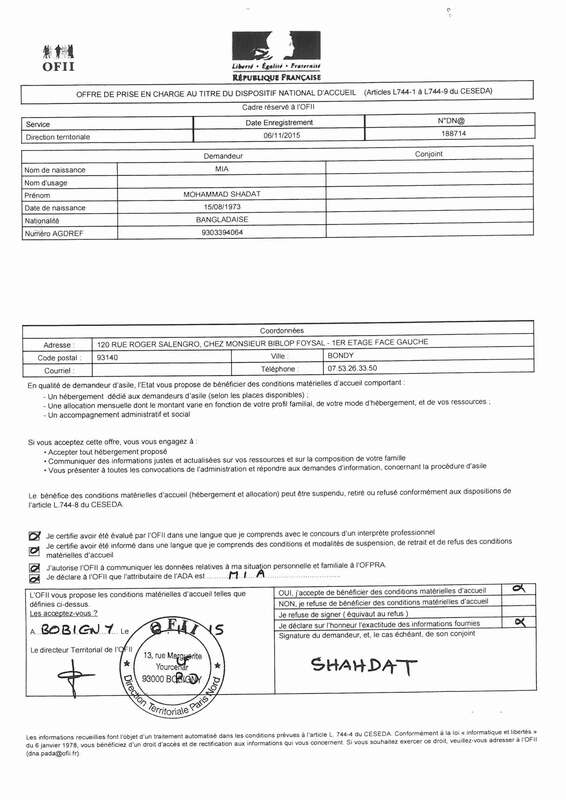 The certificate is valid for one month, but you have to send the file completed to the French Office for the Protection of Asylum Seekers and Stateless Persons (OFPRA) before 21 days. 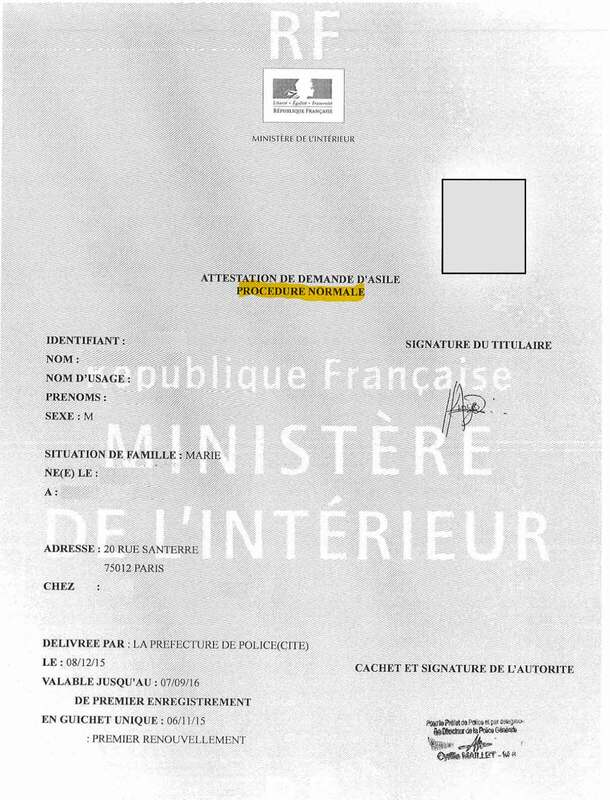 1/ The file must be filled in French. If you need it, you can ask a dedicated association to help you. 2/ The file must be signed. 4/ You must send the file by a registered letter with acknowledgment of receipt (“lettre recommandée avec accusé de réception”), or you can bring it directly to the OFPRA. >> If your file is complete, the OFPRA will send you a registration letter, otherwise, it will send it back to you, asking you to complete the file and send the file again within 8 days. With the OFPRA registration letter and your domiciliation certificate, you should go back to the prefecture to get a new certificate for asylum seeker valid for 9 months, which you will be able to renew when necessary until the end of your asylum process. >> You will benefit from the social rights granted to the asylum seekers (such as access to the medical care system), as well as from the financial aid on condition that you accepted the OFII offer. 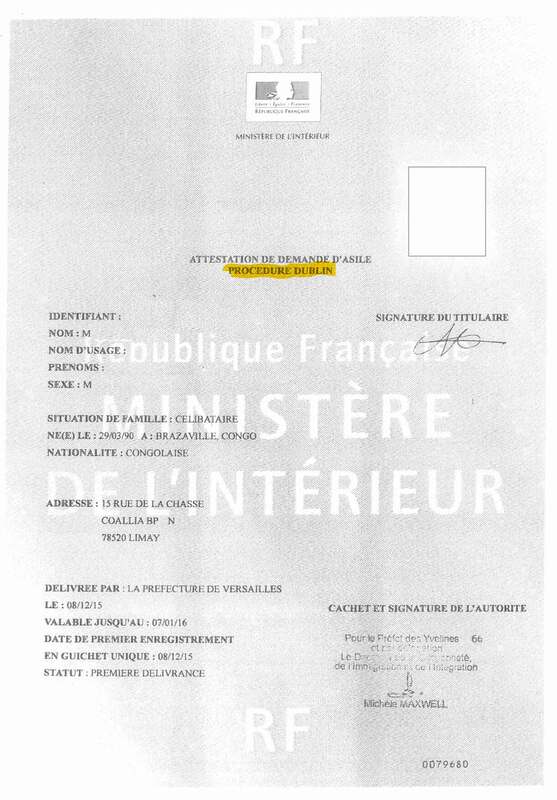 At the end of your appointment at the one-stop service, the prefecture official gave you a certificate of asylum seeker (ADDA) called “Procédure accélérée” (fast-track procedure), and the asylum application file which is called OFPRA file. -In case you refused to have your fingerprints taken by the prefecture, or in case your fingerprints can not be read. -In case you already applied for asylum and you are applying for a reconsideration of your file. -In case you are considered having hidden information about you or your journey. 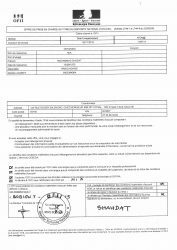 -In case you filed your application more than 120 days (4 months) after your arrival to France, and you could not explain the delay. -In case you are a national of one of the following countries : Albania, Armenia, Benin, Bosnia Herzegovina, Cape Verde, Ghana, Georgia, India, Kosovo, Macedonia, Mauritius, Moldavia, Mongolia, Montenegro, Senegal, Serbia, or one of the European Union countries. The fast-track procedure is a summary procedure, that offers fewer guarantees that the case will be examined thoroughly than the normal procedure. 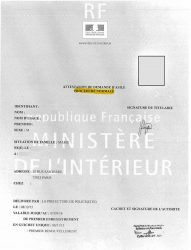 >> The certificate is valid for one month, but you have to send the file completed to the French Office for the Protection of Asylum Seekers and Stateless Persons (OFPRA) before 21 days. 1/ The file must be filled in in French. If you need it, you can ask a dedicated association to help you. 4/ You must send the file using a registered letter with acknowledgment of receipt (“lettre recommandée avec accusé de réception”), or you can bring it directly to the OFPRA. >>If your file is complete, the OFPRA will send you a registration letter, otherwise, it will send it back to you, asking you to complete the file and send the file again within 8 days. 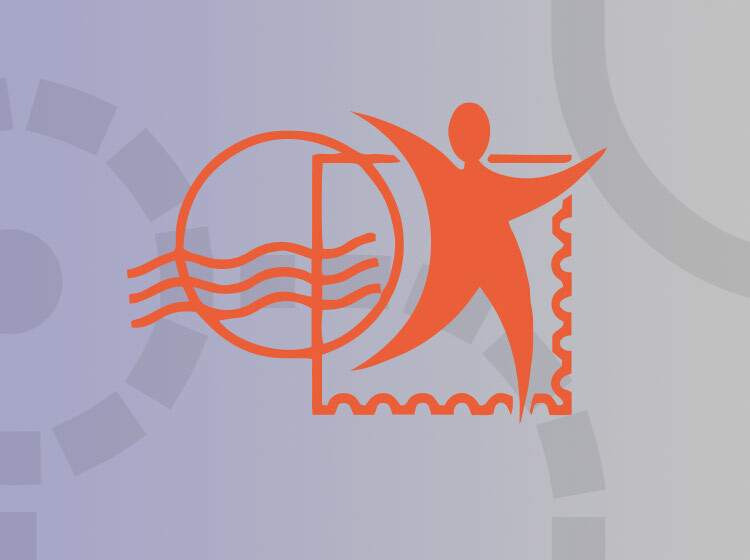 With the registration letter and your domiciliation certificate, you can go back to the prefecture and get a new certificate for asylum seeker valid for 9 months, which you will be able to renew when necessary until the end of your asylum process. I think that my demand should be considered in Normal Procedure. How can I request the change of procedure ? You should inform the OFPRA (in your story or at the interview) why you think that you shouldn’t have been placed on Fast-track procedure (procédure accélérée). 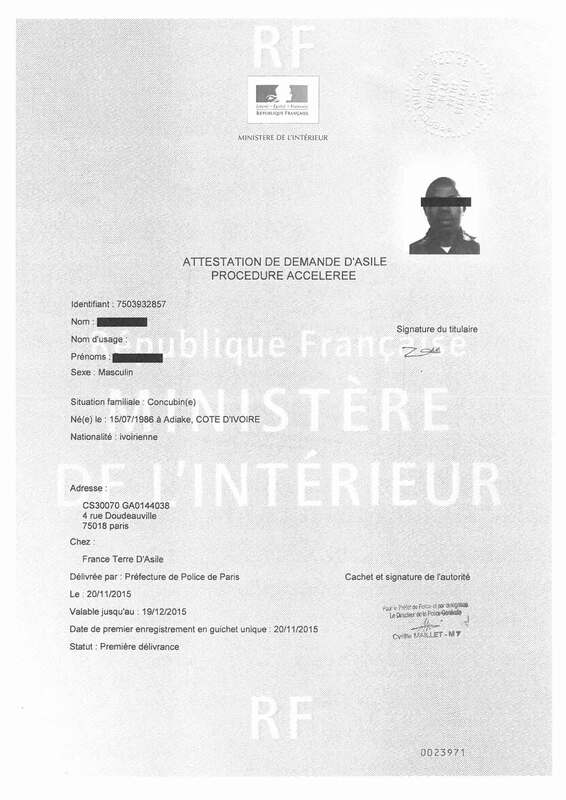 The OFPRA has the ability to examine your file in normal procedure (procédure normale). 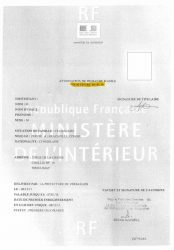 At the end of your appointment at the one-stop service, the prefecture official gave you a certificate of asylum seeker (ADDA) mentioned “Procédure Dublin” (Dublin Procedure). 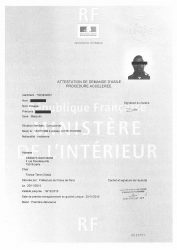 This means that the prefecture found an evidence that you have been to another European country before coming to France. According to the DUBLIN agreement, the first European country where you have been should examine your asylum application. So the prefecture will ask that country to take you back in order to examine your asylum application. While waiting for the answer, you can benefit from the ‘asylum seekers assistance programe’ such as the financial aid and the health insurance. If you accepted the offer from the OFII (you checked the “yes” box at the bottom of the document “offre de prise en charge”), you may be given an accommodation (if available), and the allowance for asylum seekers. The OFII will give you the address of the accommodation and will specify the date at which you must arrive at your accommodation. There you will have a room for yourself or you will share it with other people. 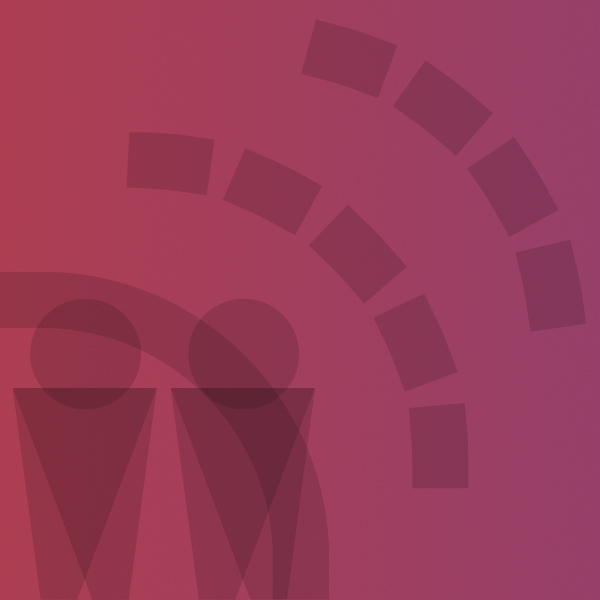 If it’s a CADA, the staff who work in the accommodation facility must accompany you in your asylum procedure, if this is not the case, or if the support is not enough, you can ask for help from a PADA or from a specialized association (list of associations for accompaniment). You will be entitled to financial allowances for asylum seekers (ADA). The amount varies depending on your marital status and the type of your accommodation. What happens if I do not accept the accommodation offer made by the OFII or if I leave my accommodation? If I want to change the city or the department or the center of accommodation ? There is no aid for the person who leaves his accommodation or wants to change it! You are free to leave the accommodation if you want to. There will be no negative consequences on the treatment of your asylum application by the OFPRA or the CNDA. In this case you must inform them of your new adress. Although you are free to leave your accommodation if you wish so, we strongly discourage you to do so because not only will you lose the allowance and accommodation but you have to initiate additional steps to make the change of address and transfer your file in your new department of residence. The OFII put me on the waiting list but I need accommodation urgently ! The existing places of accommodation are not sufficient to accommodate all asylum seekers. That is why the OFII does an assessment of your situation when you pass the “one step service” (GUDA). It is possible that your need for accommodation was not considered urgent OR that there was no room available at that time. If your situation has changed (you have no place to sleep, you are sick, you had children etc.) you must go to the PADA where you live and report this change of situation to get accommodation quickly. Sometimes you have to go directly to the territorial offices of the OFII in your area. While waiting, you can call the accommodation emergency number (115). The 115 can give you a place for one night or more. You can call 115 from a phone box for free. Usually you will wait a lot in order to get your call answered. You should insist until your call is answered and registered. Don’t be surprised if the 115 has no solution to offer … it happens frequently. If you have refused to receive the aid proposed by the OFII at the time of your passage at the “single window” (GUDA), you cannot benefit from the allocation of asylum seekers ADA or from an accommodation by the OFII. However, if you need help, you can contact charities that provide material assistance (eg food) to people in need. Can I change my decision ? If you have declined the offer “offre de prise en charge”, it will be very difficult to to rectify this decision. But if your situation has changed (you had a child, you are sick, you are living in a precarious situation), you can report your situation to the PADA near where you live.